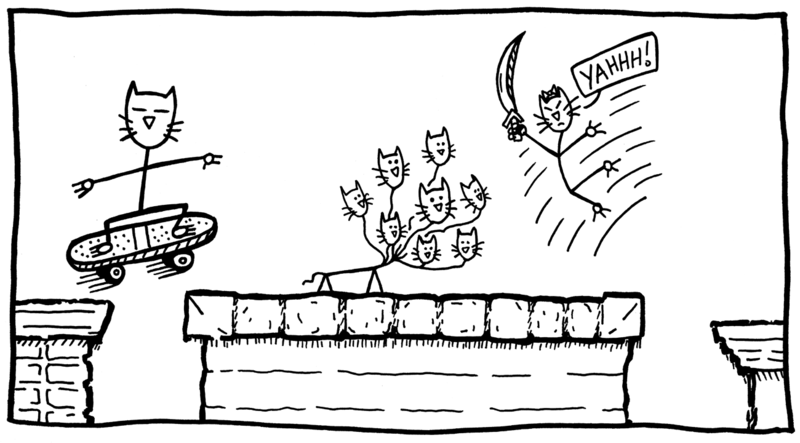 Stick Cats is an all-ages lo-fi adventure I launched in 2011. Designed to be the antithesis of the heavily-scripted webcomics I was creating at the time, this stick figure series began spontaneously. Each page was an exercise in narrative improvisation. A 2016 digital graphic novel collecting the entire epic Stick Cats saga! 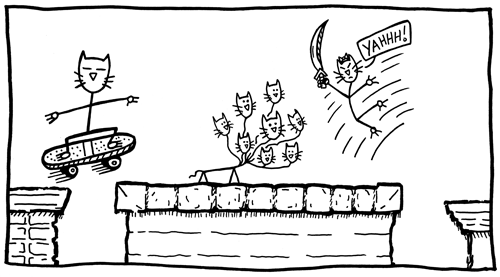 Can Marmalade stop the Octo-Kitty from crushing Catworld? Can Steve recruit Amazonia, his surly sister, to help thwart the Octo-Kitty's cruel quest? Plus, meet the brilliant Dexter and discover the scientific wonders of his unbelievable Pawburgh lab! Meet Marmalade and Steve, two tough cats with one goal -- to take down the Octo-Kitty, a killer cat with a chip on its shoulder. The world has been decimated in the Octo-Kitty's quest for supremacy! With Steve missing, Marmalade fights to salvage what's left. Learn the origin of the rivalry between the Stick Cats and the Octo-Kitty in this haunting flashback mini-adventure. Marmalade fights to save Catworld from annihilation and rescue Steve in the process! 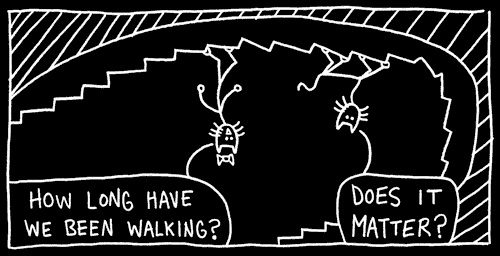 It's 66 more pages of pulse-pounding sci-fi stick figure suspense.